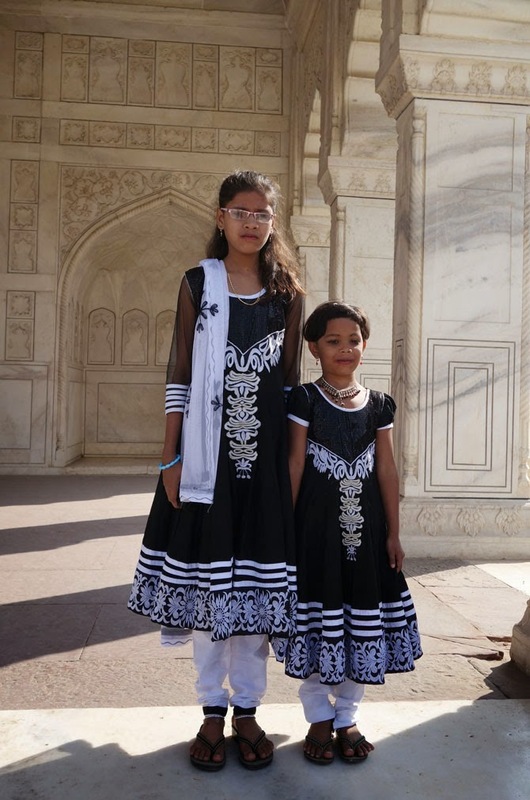 Each new generation of the family would add and expand upon the creation of the Agra fort. 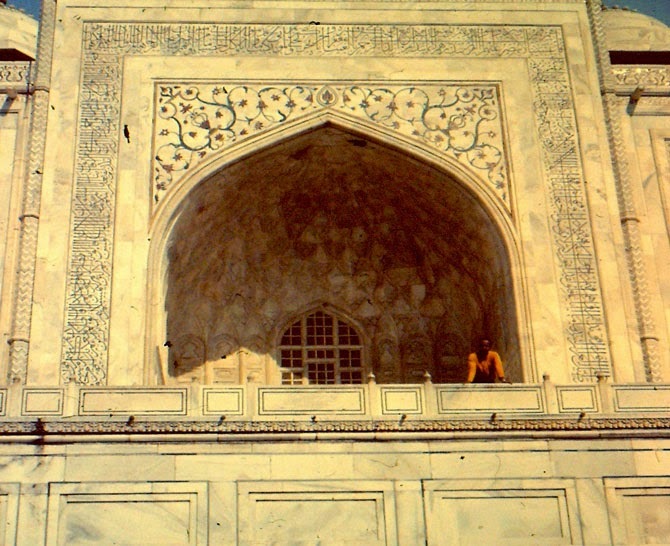 His grandson Shah Jahan would also become emperor and rule from here. Each emperor would make changes to the fort. Create new parts and sometimes in the process destroy the work of those who had built before them. 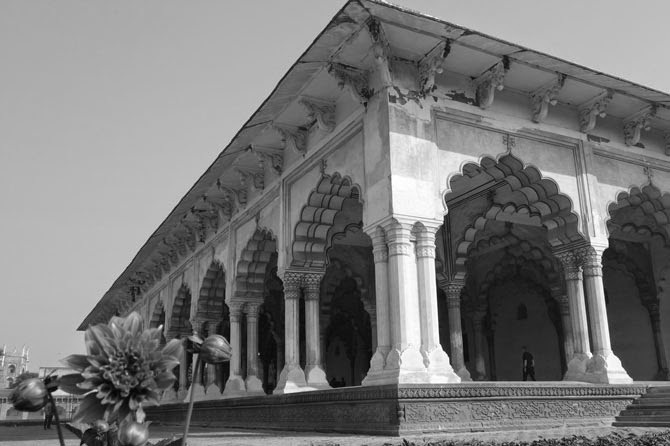 The work of the Mughals was exquisite. Perhaps they knew they would create works that would become immortal. For people who see it every day the uniqueness of the fort they may not appreciate. 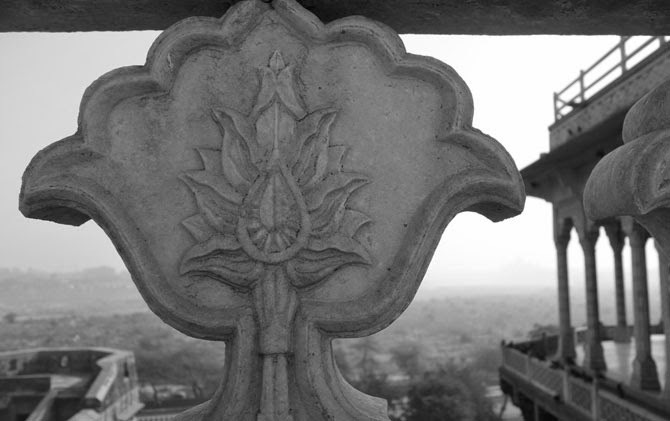 At least not until they go beyond the city and realize just how precious a place Agra is. Its treasures unequaled in most of the world. 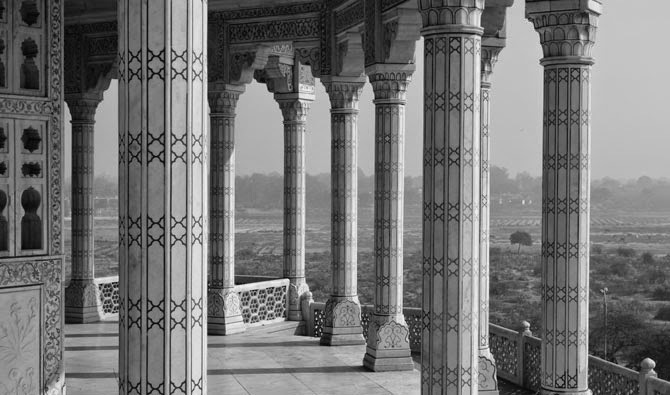 The emperor Shah Jahan was all too aware of the importance of great things. Thus when his favorite wife, Mumtaz Mahal passed away he wanted to honor her like no other great man had ever done for a wife before. 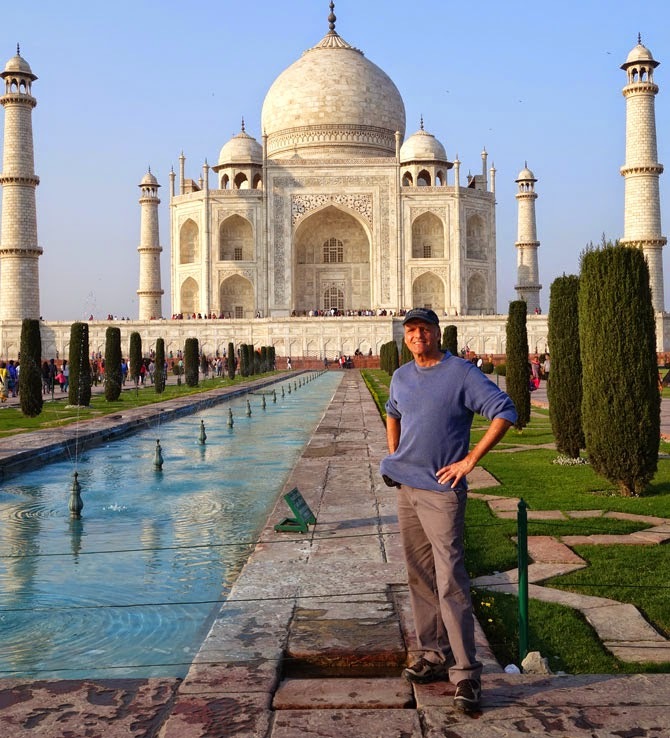 He built for her for her final resting place the Taj Mahal. Now considered to be the most beautiful tomb of all time, and one of the wonders of the world. 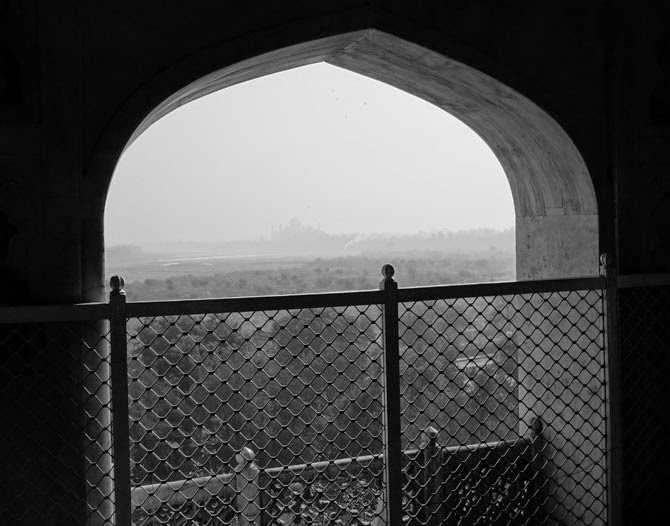 From the Agra fort, just 2.5 kms away, on a warm morning the mist obscures its beauty. 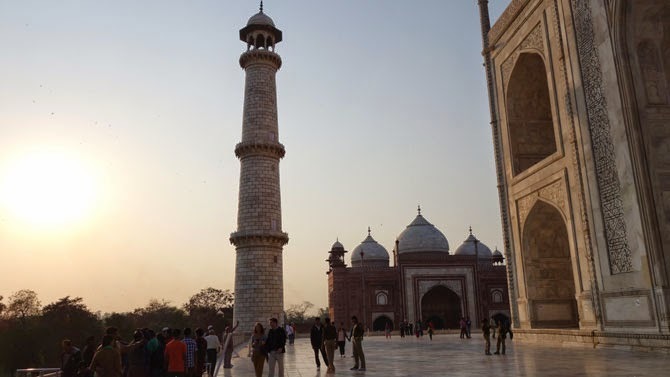 It took Shah Jahan 22 years to build the Taj Mahal. My guide Maneesh says the design was all that of Jahan. His architect simply followed his vision. 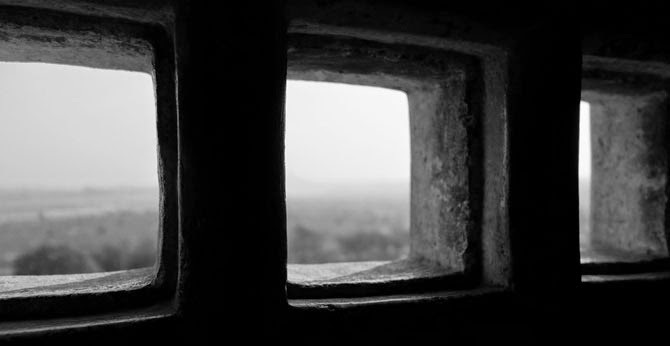 Where the Taj Mahal is kept in perfect condition the Agra fort is not. In some places graffiti can be found. When I asked my guide how this could happen he pointed to 3 guards in the distance. "What they do is gossip all day," he said. Other workers seem not to be too busy. 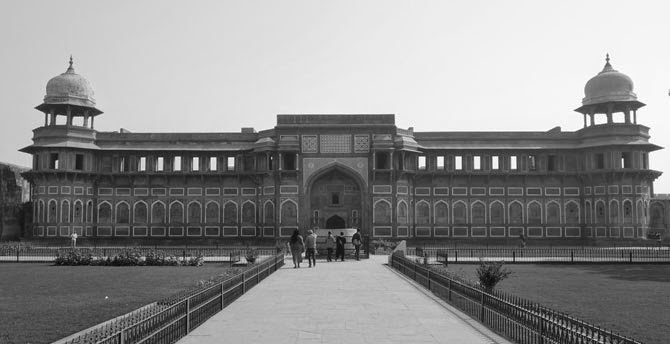 Agra fort is still incredibly impressive. A tourist can only visit about one third of the entire complex. The rest is managed by the Indian military. 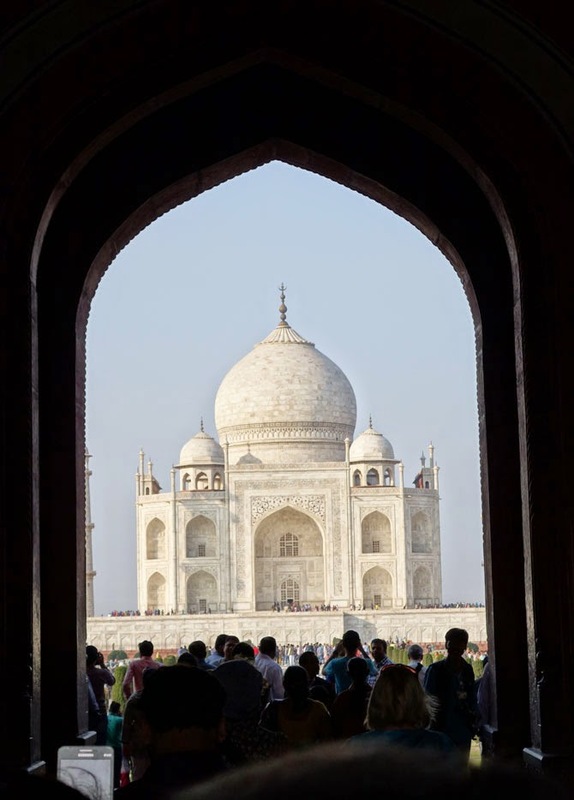 Ultimately Shah Jahan had few years to enjoy the beauty of his wife's tomb, the Taj Mahal. Or at least be able to see and enjoy it closely. 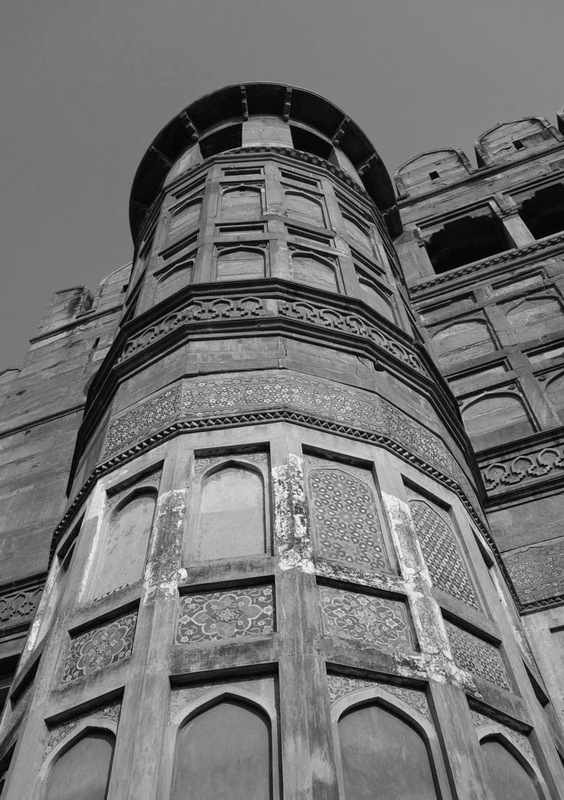 He was deposed by his son Aurangzeb and kept in the fort a prisoner for the remaining years of his life. Again, where is Heaven? Heaven is not just a place where we go after death. We go to Heaven and hell every day. Heaven and hell are states of consciousness. In the perfection of the mind, in the peace of the mind, Heaven abides. In the frustration of the mind, in the depression of the mind, hell lives. Every day we experience Heaven and hell in our lives. Frustration, depression, insecurity, worry, doubt, fear, anxiety and jealousy all make us live in hell. Security, beauty, joy, peace, light and love all allow us to dwell in Heaven at every moment. 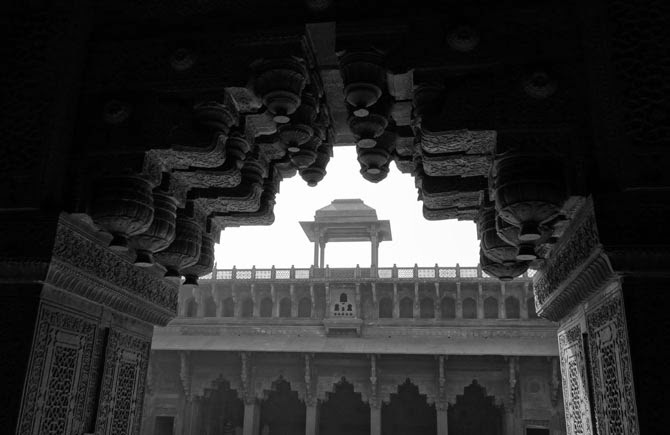 The delicate and fine detail of the work in the Agra fort is impressive. 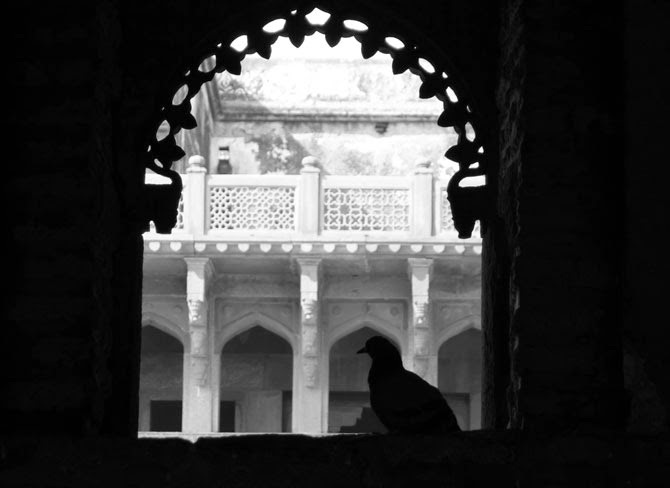 It is within these rooms that Shah Jahan was imprisoned. 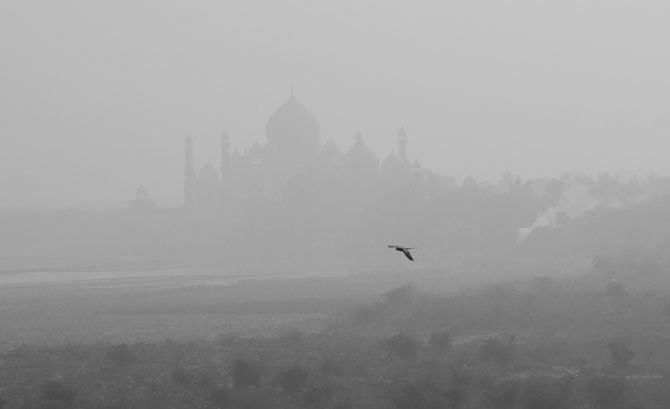 His precious Taj Mahal only to be loved from a distance. 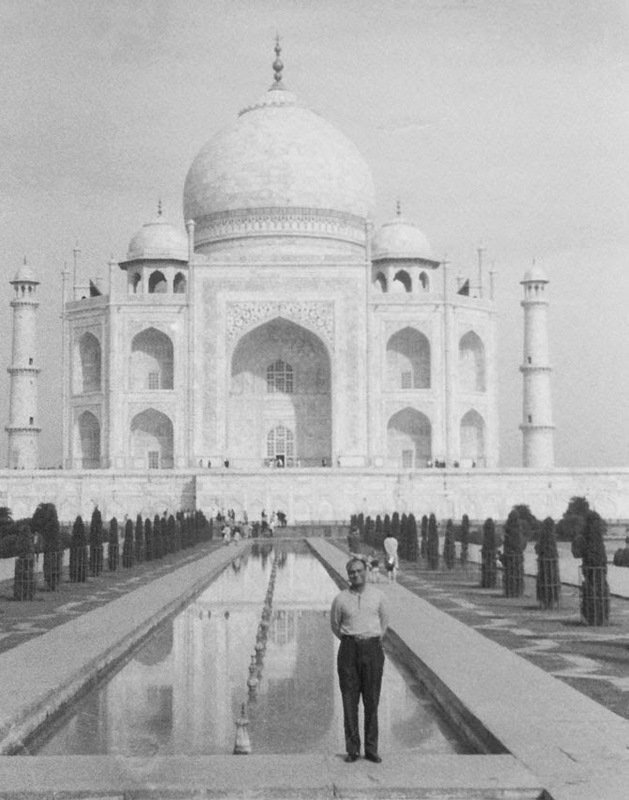 When his time on earth was over his body made its final journey to the Taj Mahal. 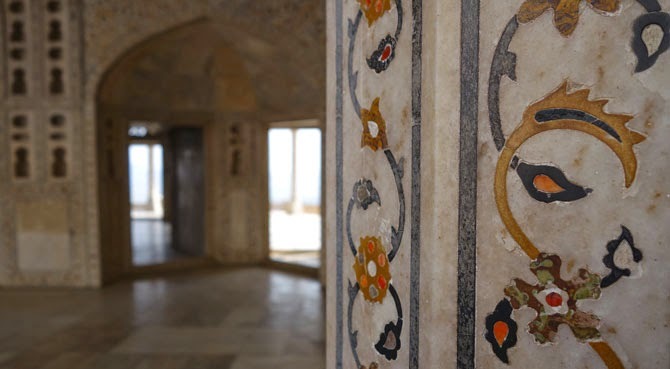 There, like his wife Mumtaz Mahal his final resting place was in a marble tomb next to hers. 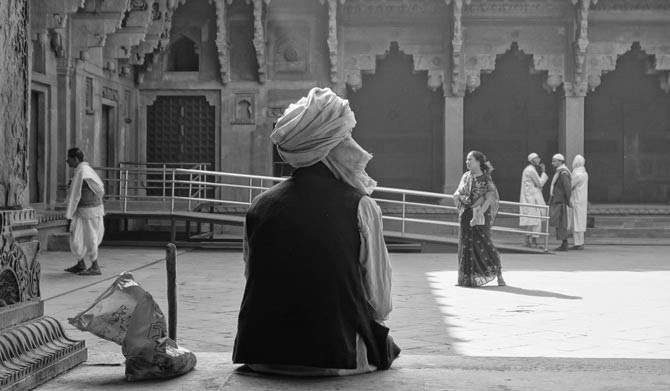 The visitors who come here do not match the hoards that gather at the Taj Mahal but all who come can still be impressed by its beauty as well. 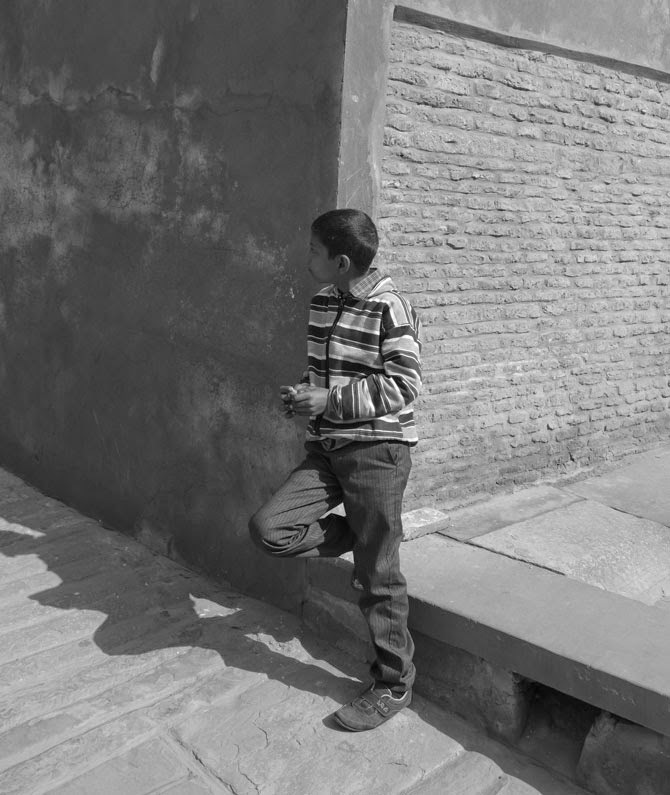 It seems that nearly everyone who comes to the Taj Mahal has a camera and each one takes many many photographs. I ask Maneesh how big the crowds can be. 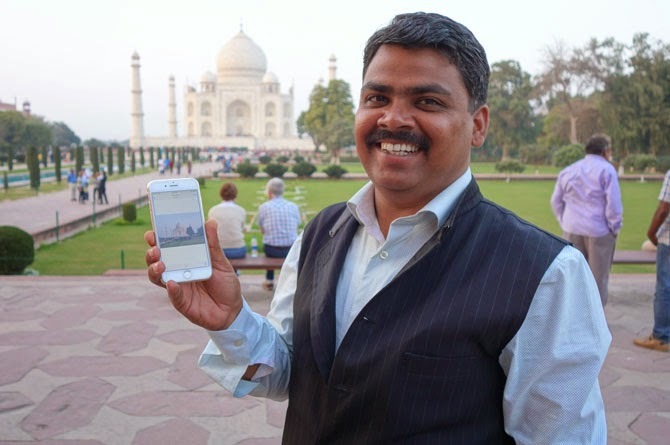 He says during the end of December, when the most visitors come there can be up to 50,000 people. He has been a guide for 15 years and says he never grows bored of coming here. He shows me his own favorite photo that he took with his phone camera. It is hard when I came here not to be caught up taking pictures all the time. Particularly in the late afternoon when the soft light of dusk enhances the beauty of the place. I pose to try and copy the photo at the beginning of this story. One which was taken when my spiritual teacher, Sri Chinmoy visited this place in the 1970's. I have another of him taken in one of the windows. It is really more beautiful here than pictures can possibly show. Yet to truly enjoy its essence you have to view it with more than just your camera and your eyes alone. Like all beautiful things it needs to be experienced with your heart. 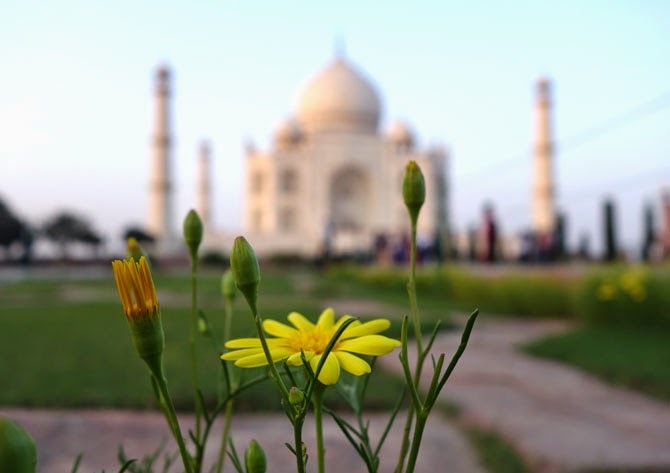 Tagore has written about the Taj Mahal, "Only let this one teardrop, the Taj Mahal, glisten spotlessly bright on the cheek of time for ever and ever. O King! You sought to charm time with the magic of beauty and weave a garland that would bind formless death with deathless form!"